Do you have with it takes to be a HERO? By becoming a United Way Every Day HERO, you can create lasting, positive change in the lives of those who need it most. For only $1 a day, you can impact 1,720 children, age 0 - 5, by providing them with a book monthly through the local Imagination Library Book Program. This year when you consider your gift to United Way of St. Clair County, we hope that you will think about becoming an EVERY DAY HERO. 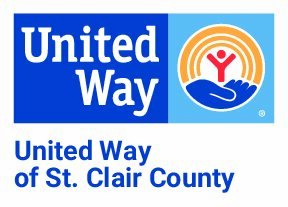 10% Discount is being offered to United Way Every Day Heroes wearing their Every Day Hero Buttons (United Way of St. Clair County contributors giving at least $1 per day). Heroes must be wearing their button to qualify for a discount. Discount details are at the sole discretion of the establishment. Thank you to the above merchants/establishment!!! Additional merchants / establishments may be added before June 30, 2018. Please keep your eye open for posters at the businesses. For additional information, please contact us at (810) 985-8169.